Shining shoes is one of those old fashioned skills that seems to have gone by the wayside. Unless you are in the military, it is probably a task you have never done before. However, if your leather shoes have been collecting dust in self-storage for a few months, it’s a good idea to give them a good shine before you wear them, especially if you have a wedding or another big event coming up. Shining will not only make them look great, but it will preserve their quality, waterproof the leather, and lengthen their lifespan. Here, the self-storage experts at Affordable Family Storage in Billings, MO break down the process. Shoe polish is known to smear everywhere and stain surfaces. To protect your carpet or table, be sure to cover the surface with old newspaper or a towel. When you begin the process of shining, be extra careful to avoid smears or spills. While sitting in self-storage, your leather shoes have likely collected a lot of dust. 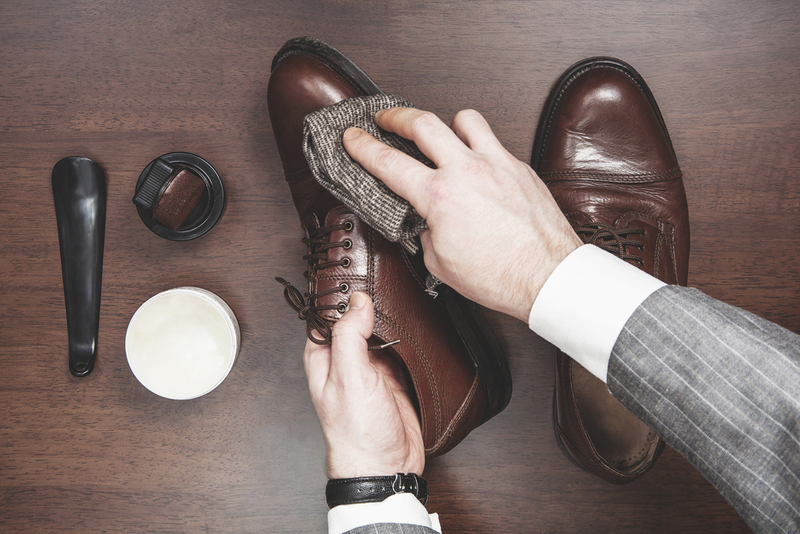 Before shining them, thoroughly clean the dust and dirt off the shoe with a horsehair shine brush or a damp rag. If you use the damp rag method, dry the shoe before continuing to the next step. Once the shoe is dry, cover it with an even coat of shoe polish by using your horsehair shoe polish brush. Most brands of polish should work just fine as long as it closely matches the color of the shoe. Once the shoe is coated in a decent amount of polish, let it dry for about 20 minutes. Now you will want to remove any excess polish so there is only a thin film that coats the shoe. With the polish dry, take your horsehair brush and scrub the shoe. Don’t be afraid to be a little vigorous while scrubbing; it can be fairly difficult to remove excess polish. Details matter when shining shoes, and now that you have scrubbed the shoe, it’s time to shine the toes and heals. Submerge a cotton cloth into water and squeeze out any excess moisture. Next, gently dip the damp cloth in some polish and shine the toes and heals of the shoe, rubbing the cloth in small circles. This may take awhile to get them looking nice and shiny, but you should be pleased with the final product. At Affordable Family Storage, we know that caring for your things after self-storage is just as important as preparing them. If you are looking for a self-storage unit in Billings, MO, contact us today! We offer climate-controlled units with great security features, giving you the peace-of-mind that your possessions are safe while you are away.